The mysterious land of Kinnaur is always been in the curiosity hunt for the home and foreign tourists. Whereas all other areas of India are mostly covered by monsoon or rainy season Kinnaur is with its special geographical markets. Being in the range of high altitude monsoon does not cover the region so the place remains a classical tourist destination for the visitors. Himview Holidays Kinnaur Monsoon Tour Package is filled with the splendid views of the Kinnaur valleys. The famous Sangla Valley, Chhitkul, Bhaba Valley, Kalpa, Nako lake, Tabo monastery, Kinner Kailash and many more unexplored places are best to visit in monsoon days. The wonderland Kinnaur has its unique combination of rocky hills and vegetated valleys. Himview Holidays Kinnaur monsoon tour package goes through the beauty of Shimla to Kinnaur. In between Kufri, Narkanda, Rampur, Sarahan, Taranda, Sangla valley, Bhaba valley, Chitkul and Kalpa etc. are the destinations that makes the journey most beautiful and the scenic beauty of the places thrills the soul of the visitors. Kinnaur monsoon tour package is specially designed to cheer the visitors to enjoy the monsoon vacation time with the beauty of the great Himalayas. This package is a complete package for enjoy and cheer to the diverse nature of the beautiful Kinnaur. Himview Holidays special packages for Kinnaur are: Kinnaur tour package, Kinnaur honeymoon package, Kinnaur Sangla Kalpa tour package and Kinnaur monsoon tour package. 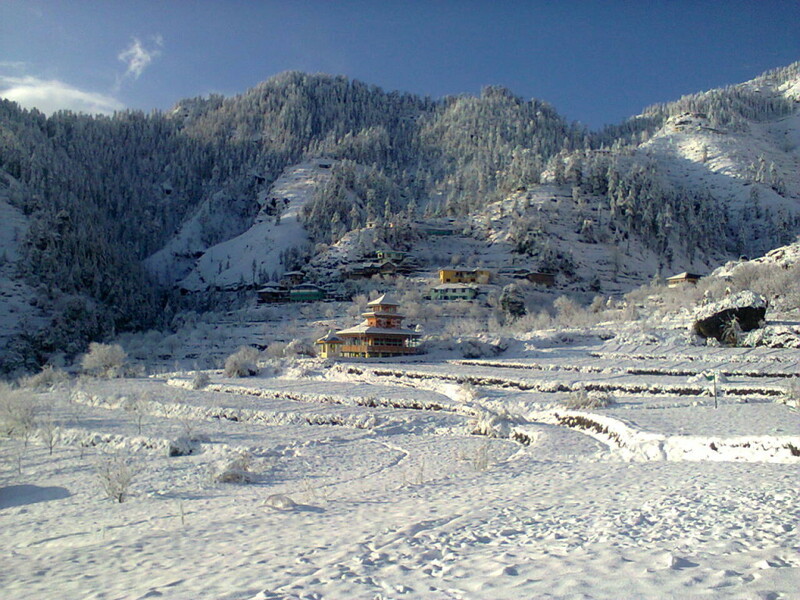 Kinnaur monsoon tour package is the most affordable tour that brings most satisfaction. Himview holidays has traditional tie ups at Kinnaur region with hotels and transporters so we are in best position to justify the tourists desire. Pick up from Chandigarh Airport/Railway Station/Bus Stand by an exclusive vehicle towards Shimla. On the way numerous tourist destination like Pinjore Garden, Timber trail, Barog , Dagshai and Solan etc. Check in at hotel at Shimla. After having breakfast pick up from hotel and proceed to Kinnaur and in mid way wander the tourist destinations like Kufri, Fagu,Narkanda and Rampur. In the evening time reach the popular place Sarahan. Participate the classical aarti at Bhimakali Temple. Stay and dinner at hotel at Sarahan. In the morning do participate in the Aarti at temple and take the breakfast. The historical temple is the witness of grand old regime of The region. 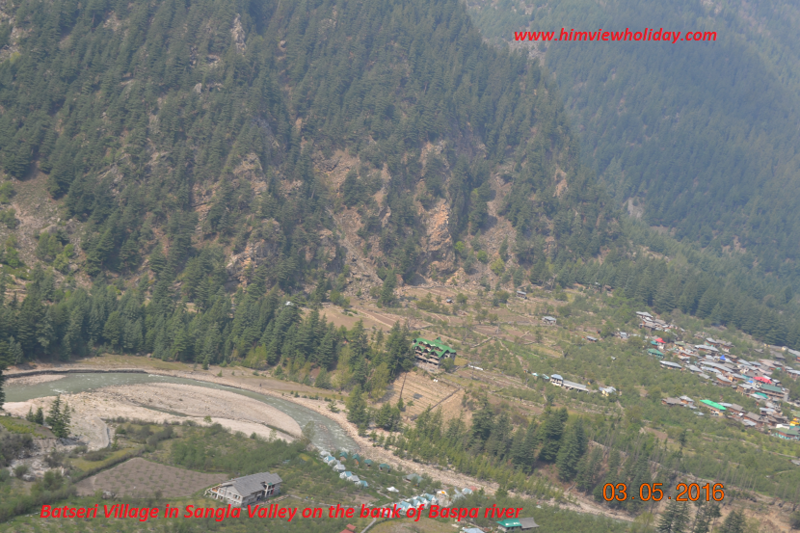 Proceed to Sangla, in mid way hot springs at Jeori, Taranda and Nathpa hydro project are the places to see around. Stay and dinner at Sangla hotel. After having breakfast visit the Ancient Kamru Fort at Kamru village and Saffron farm at Sangla. at day time also visit Chhitkul, the last Indian village of the region with its glorious location and a temple in the middle of the village.Proceed to Kalpa. Stay and dinner at Kalpa. In the morning have the glorious front view of Kinner Kailash and smell the morning fragrance of edible pine or “Chilgoza“. After breakfast visit the Roghi village popular for its traditionally built houses and a Durga temple. The temple is known for its golden idol of Durga. A small local market at Recongpeo to shop some traditional hand-looms etc. Proceed to Shimla. Stay and dinner at Shimla. After having the sweet memories of Kinnaur valley in the morning taking breakfast and stop for shopping a while at Shimla Mall. Proceed to Chandigarh Airport/Railway Station for further flight or train.